Shiv Sena Chairperson Uddhav Thackeray, conducted the ground breaking ceremony of Grand Central Park, Thane, a world-class urban park being developed by Kalpataru Group for Thane Municipal Corporation. Spread over 20.5 acres on Kolshet Road, Grand Central Park, Thane is designed along the lines of successful urban parks in global cities such as New York, Chicago, Singapore and London as well as some of the best parks in India. The development of Grand Central Park, Thane is in line with the Thane Municipal Corporation's vision of urban renewal through the creation of world class urban infrastructure to make Thane a global city. Grand Central Park, Thane builds to a design that is truly international, while retaining an ethos and flavor that is uniquely local, to appeal to all citizens alike. Notable among the park's design features are a three-acre lake with landscaped promenade and fountains, thematic gardens, a uniquely designed Flora Trellis, viewing decks, and a uniquely designed pedestrian bridge with a viewing point that offers panoramic views of the park. The park will house thousands of trees, and plant varieties, which will not only make it a biodiversity hotspot but also a green sanctuary in the middle of the bustling metropolis. The park also features an amphitheatre by the lakefront, which will provide a space for Thane's citizens to host various cultural events. The park's thoughtfully designed play zone is sure to keep children engaged and entertained. It will comprise embankment slides, splash pad, zip-line, adventure play equipment, music percussion play area, maze garden, climbing walls, a lookout point and a tree house with slides designed around a large Banyan tree. The park's world class skating zone, tennis and basketball courts, and multi-sport AstroTurf courts will provide sports enthusiast's ample sporting opportunities. For the health and fitness conscious, fitness trails across the park will provide an ideal space for exercising, jogging, yoga and meditation. The park also features several lawns, which are ideal spaces for family bonding. Visitors to the park can wish their parking woes away at the park's multilevel vehicle parking facility. When complete, the Grand Central Park, Thane will become Thane's new recreation and leisure destination. 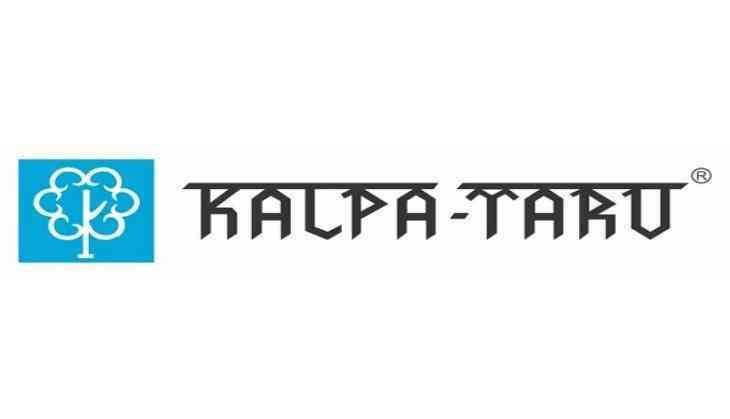 Kalpataru has brought together world class architects, planners and consultants for the project. Aedas, Singapore, which has done the master plan for iconic projects such as Guangzhou International Financial Centre and the World Trade Centre, Jakarta, is the master planner for the project. Thailand's renowned landscape and urban design consultants Landscape Architects 49, which has done prestigious projects such as the Suan Ming Mongkol Park and Rama 9 Park at Bangkok, is the landscape architect. Penda Design, Beijing & Vienna, which has carved a niche in developing iconic structures such as the aesthetic San Shan Bridge, Beijing, in preparation for the 2022 Winter Olympics, and the Contemporary Art Museum, Buenos Aires is the architect for key architectural structures. Arup, Hong Kong, credited with such iconic developments as Two International Finance Centre, Hong Kong, one of the tallest buildings in the world, and, Tata Consultancy Engineers, India's leading integrated engineering consulting service provider, are the infrastructure and services consultants. Kalpataru has a strong bond with Thane that stretches several decades. Its landmark projects, Siddhachal and Tarangan host vibrant communities adding to the colour and character of Thane. Its ongoing developments Immensa and Sunrise, situated within Kalpataru's master planned township development on Kolshet Road will be home to thousands of families when complete. KORUM mall, promoted by Kalpataru Group, has emerged as a thriving shopping hub and community centre of choice for citizens from Thane and beyond.